On the other hand, Bella and Fanny seemed to live a very secular life. A few pages after this passage, Bella described how she spent her Friday nights. She would meet all her girlfriends and play loud and active games of tag and other outdoor games. Bella also wrote that she felt “no everyday kinship with the synagogue” and “had an idea that it belonged to the menfolk only.” (p. 47) She wrote that she only went to the synagogue on holidays. Bella in fact experienced real confusion over her religious identity and at one point decided that she wanted to be Christian, not Jewish, much to her mother’s dismay. This desire seemed to have been rooted in Bella’s perception that Christians were more refined: they were gloves, had clean nails, and spoke perfect English. Some of it may also have been rooted in her experiences with anti-Semitism, such as the time she and her mother were lost, walking in a strange neighborhood, and were accosted by a group of boys who called them sheenies and grabbed and poked at them. The mission of the schools was to Americanize the children of the immigrants (of all backgrounds) by immersing them in English literature, American and British history, physical training and athletics, and culture. Limmer asserted that as a result, parents often became dependent on their children, who spoke English and who were much more comfortable with the American way of doing things. The students would then salute the flag and listen to readings from the Bible every day, apparently a common practice in the NYC public schools until after World War II, a practice that certainly conflicts with Constitutional principles as we understand them today. Bella was also a regular visitor to the city’s public libraries and spent her school vacations at the library, reading as much as she could. Obviously, she was well-served by those crowded schools and those libraries, as she grew up to be not only capable of communicating in English, but to be a very successful professional writer who contributed to the American culture in which she had been immersed. Bella’s life was very much confined to her neighborhood; she was at least ten years old before she did much venturing outside of the Lower East Side. 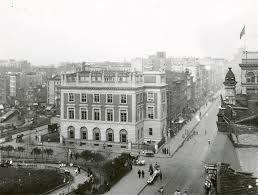 Once she and a friend tried to walk to Andrew Carnegie’s house uptown, but got no further than Fourteenth Street, where they were mesmerized by the department store and its escalator. Another time she participated in a play with other immigrant children organized by the neighborhood settlement house, another agency engaged in Americanizing immigrant children. The group of children performing the play went as far uptown as 96th Street, which Bella said was as far from the Lower East Side as any of them had ever been. Otherwise, Bella and her friends stayed in their neighborhood, where she engaged in common childhood activities, including piano lessons and a sewing club. There is no mention of religious education. Overall, Bella’s childhood, despite the poverty and those incidents of abuse and anti-Semitism, was a happy one up through age twelve. She was a smart, studious girl, but one who had many friends and who knew how to have fun. Perhaps Bella was looking back with rose-colored glasses, but I’d like to take away from her depiction of her childhood a better feeling about my grandmother’s childhood in the Lower East Side with her siblings. Yes, they did not have an easy life, and losing their father so young must have been terrible. But they had their sisters and brothers and a mother whom they all adored. I hope that like Bella, my grandmother also enjoyed school, played games, and had a network of similarly situated friends with whom to share some of the joys of childhood. 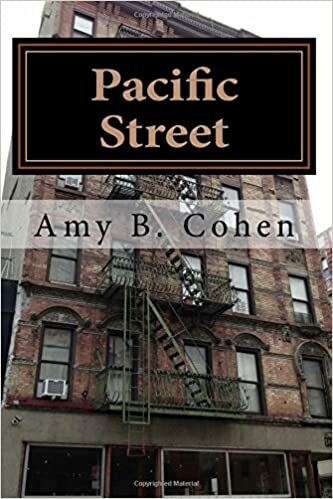 This entry was posted in Books, Lower East Side and tagged Andrew Carnegie, Family, Jews, Lower East Side, New York City, religious observance, Ruth Limmer, World War II by Amy. Bookmark the permalink. Good point! I was surprised also. But I think those lessons were provided for free at the settlement house. I will go back and see if she mentioned that in the book. I will report back. Thanks! I went back to check, and there is no explanation of who paid for the piano lessons. All she says is that she loved the piano teacher, who ran off with a non-Jewish man after Bella had been taking lessons for only four months. I found the information about full immersion interesting. Since moving to Israel 4 years ago, I’ve often wondered what would have been better for my daughter (who was entering 3rd grade) the full immersion or the hand holding and extensive ulpan classes which she received. She learned the language, learns completely in Hebrew but still feels that she needs improvement in it. OTOH, a friend that was on our aliyah flight placed her daughter in a full immersion program. That child doesn’t really even hang out with Anglos. Then again…I believe in teaching according to the child’s needs and dd is getting that : ). I didn’t realize you were in Israel! How exciting. How long have you been there? Almost 4 years. I love it here and live in Jerusalem.